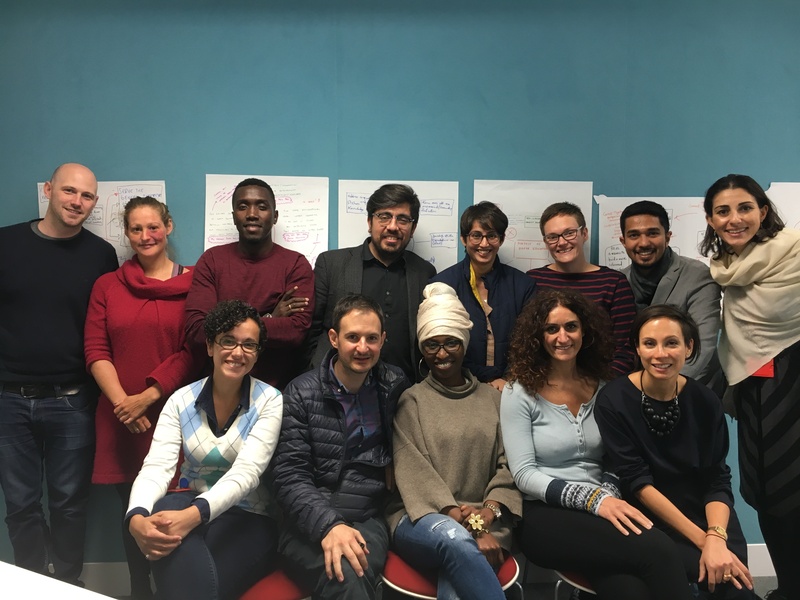 LSE LIFE’s Dr Sara Camacho Felix explains how pre-sessional workshops for 2017/18’s Atlantic Fellows helped professionals returning to study to consider the skills needed to study successfully at LSE, and gave them the chance to critically engage in conversations around the nature and role of education. Decolonising theories of education (Asher, 2009; Heleta, 2016; Luckett, 2016; Mbembe, 2016) question universal claims of knowledge, challenge set educational behaviours as the key to successful study, and argue for alternative forms of knowing. One way in which they suggest decolonising the curriculum is by foregrounding the role of narratives by having students and staff tell their stories as they engage with knowledge to challenge both themselves and that knowledge (be it from texts or lectures). From narrative, comes dialogic learning; staff and students work together to unpack their own narratives in conjunction with the curriculum to create new understandings that are inclusive, holistic, and critical. This argument has been made in decolonising minds and curriculum movements in South African, Canada, and even here in the UK. It has underpinned the ‘Liberating the Curriculum’ working group at UCL as well as the ‘Why is my curriculum white’ movement led by students in 2015. However, in the field of academic skills development, there has been little to no attention given to decolonising mind-set as a way of changing the teaching of study skills. This may have to do with the performative nature of study skills; students are taught which performances lead to the best exam and essay results. The assumptions of most students (and many staff) are behaviour-based. Give students the right tools, and they’ll perform academically acceptable acts. On 14 and 15 September, in a collaborative pre-sessional held in LSE LIFE with the Atlantic Fellows’ programme, I was given a chance to explore an alternative mode of teaching academic study to the residential fellows. These students, activists in social and economic equality globally, are returning to study for an MSc in Inequality in the Social Sciences. They are deeply immersed within their professional knowledge, passionate, and highly critical beings. The aim of the pre-sessional was to help students readjust to being students by refreshing their skills in engaging with seminars, text and lectures critically. In order to try to bring decolonising theory into study skills instruction, I took the following steps. First, I ensure that there was continual space for both individual and dialogic reflection. This allowed students to critically engage with their own understandings of university study, and their place within it. They were given ample space outside of a need to constantly perform where they could create meaning for themselves both as individuals and as a community. By ‘constant need to perform’, I mean that workshops and classes are often designed with the expectation that students constantly produce or do visible work. Instead, the fellows were given time and space in the workshop to self-reflection without worry that they aren’t visibly doing or producing something. Secondly, the pre-sessional had an academic content focus. Specifically, students learned about the academic debate revolving around the purpose of higher education, neoliberal roles in both promoting HE as a way to develop jobs skills to dismantle inequality, and its competing role in promoting international inequality. Thirdly, multiple modes of knowledge were used for students to develop their criticality. This included lectures and talks (including a talk about ‘Research Impact’ by Dr Tina Basi), academic texts, seminars (both student-led as well as one led by Dr Aaron Reeves), and a scavenger hunt (where students analysed the use symbols and landmarks in how LSE presents itself to the world). As the final activity of the workshop, students drew maps of the debate as they understood it throughout the two days of dialogue, and placed themselves within the debate. Then, each student narrated their maps, engaging with their own reflexivity orally to create their own meanings (and begin the process of argument formation). Reflecting back at the whole experience, I see how the “placing yourself in the debate” was a culmination of everything that started with the “Introduction to the Atlantic Fellowship programme”. The topics had a connection to each other. I particularly loved placing myself in the debate as I could see how coming to LSE for both the Fellowship and especially the MSc in Inequalities and Social Sciences will enhance my critical thinking and sharpen my skills and analysis that will in turn influence the spaces where I will continue to do my work on addressing inequalities. Deputy Director of the Atlantic Fellows, Rana Zincir Celal said, ‘the space […] created was very reflective and contemplative while also being open, fun and warm.’ Another student put it more simply, stating, ‘The LSE LIFE sessions were a superb and engaging way to reconnect with the academic after so long.’ This statement suggests that the workshop, in taking a narrative, reflective, and dialogic approach informed by a decolonising perspective achieved its aim of reintroducing students to academic study. For more information about this session or to discuss other collaborative initiatives, please feel free to contact LSE LIFE. Asher, N. (2009), ‘Writing home / decolonizing text(s)’, Discourse: Studies in the Cultural Politics of Education, 30, 1, pp. 1-13. Luckett, K. (2016), ‘Curriculum contestation in a post-colonial context: a view from the South’, Teaching in Higher Education, 21, 4, pp. 415-428. Heleta, S. (2016), ‘Decolonisation of higher education: Dismantling epistemic violence and Eurocentrism in South Africa’, Transformation in Higher Education, 1, 1, 1-8. Mbembe, A.J. (2016), ‘Decolonizing the university: New directions’, Arts & Humanities in Higher Education, 15, 1, pp. 29-45.